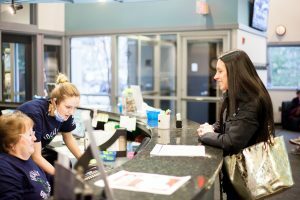 The team at Grabowski Orthodontics are passionate about helping make great smiles. Dr. Kenneth Grabowski Orthodontics is proud to offer Invisalign® treatment as a certified provider. Consider this invisible and removable method to get the beautiful straight teeth you’ve always wanted – without braces! A complimentary exam with Dr. Grabowski can determine if Invisalign® is right for you. Invisalign® uses a series of invisible, removable, and comfortable aligners that no one can tell you’re wearing. 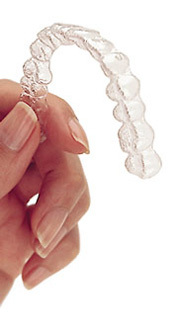 Made with 3-D computer imaging technology, Invisalign® has been proven effective. More than 70 percent of orthodontists in the United States and Canada are certified to treat with Invisalign®. You wear each set of aligners for about 2-3 weeks, removing them only to eat, drink, brush, and floss. As you replace each aligner with the next in the series, your teeth will move – little by little, week by week – until they have straightened to the final position Dr. Kenneth Grabowski has prescribed. You’ll visit Dr. Kenneth Grabowski about once every 6 weeks to ensure that your treatment is progressing as planned. Total treatment time averages 9-24 months and the average number of aligners worn during treatment is between 18 and 30, but both will vary from case to case.